Hundreds of reviews went up today on the new Intel Core i7-7700K Kaby Lake processor along with dozen of Intel 200 series board reviews that were also announced today. We covered the processor launch today in our in-depth look at Core i7-7700K CPU performance and then posted up two Intel Z270 motherboard reviews on boards released by ASUS and Gigabyte. Those reviews that we posted covered much of what you’d expect, but they didn’t cover some of the most interesting benchmarks and platform highlights as they just don’t fit well in a comparison style review. When we were playing around with the Gigabyte Aorus Z270X-Gaming 9 motherboard ($499 MSRP) we ran some fun benchmarks that weren’t included in our reviews, but still deserve a look. We got our hands on the Corsair Vengance LPX 32GB (4x8GB) DDR4 DRAM 4000MHz C19 memory kit (part number CMK32GX4M4B4000C19) that had the latest SPD update for the new 7th Gen Core processors and got a chance to try out on the Gigabyte Z270X-Gaming 9 motherboard. 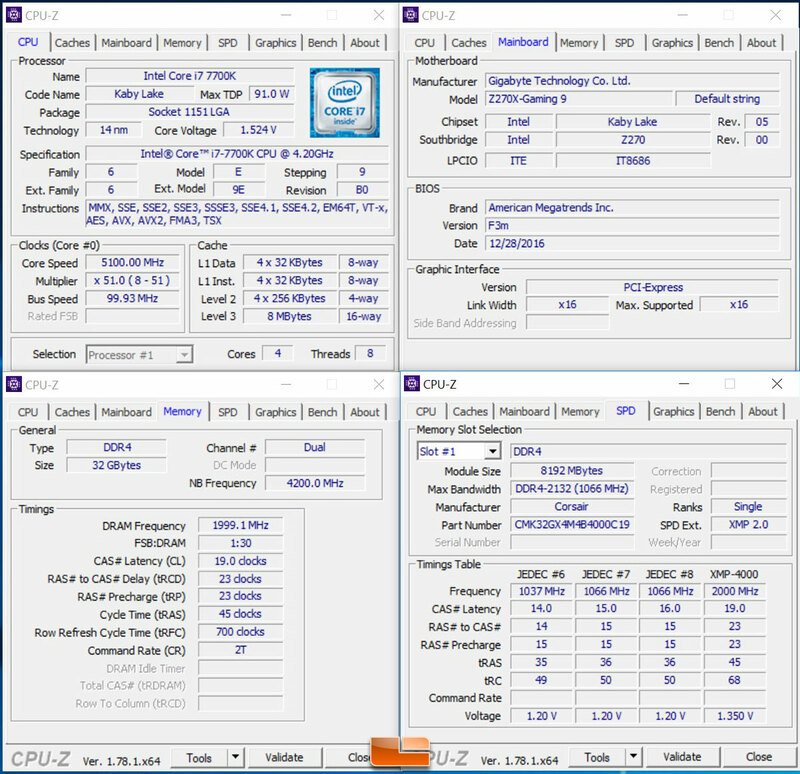 Getting an Intel Z270 motherboard to run DDR4 4000MHz and faster is very tricky to do and not many will support 4GHz memory kits and beyond Luckily for Gigabyte, the Z270X-Gaming 9 board can reach 4000MHz and they are still working on making it easier to do with refinements in the UEFI. 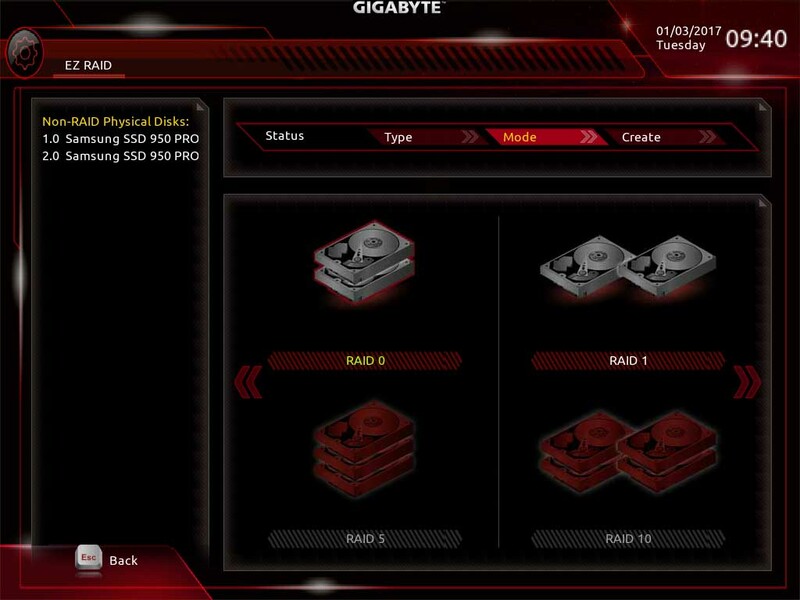 Our early production board with beta UEFI versions liked 4GHz with all four memory banks occupied and hated having just two banks full, but that is something Gigabyte is working on perfecting. 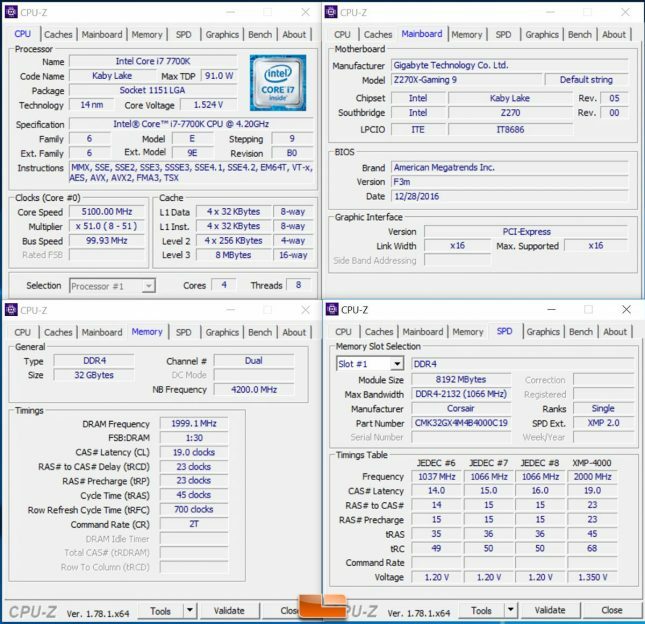 Our memory bandwidth performance with the stock XMP Profile settings with no overclock on the Intel Core i7-7700K CPU were pretty impressive. 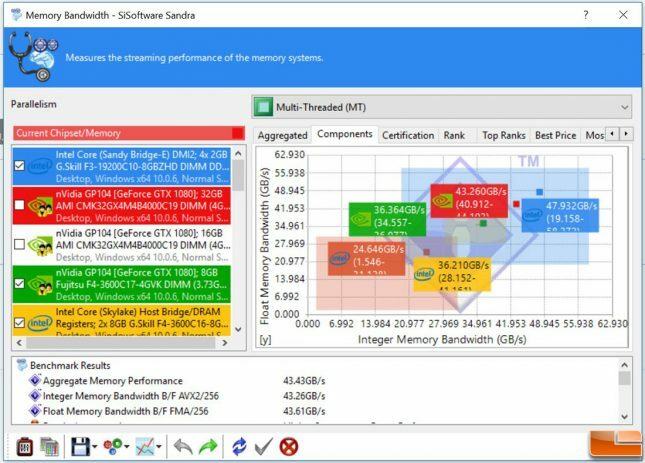 We hit over 43 GB/s in Sandra 2016 SP3 and in AIDA64 we were pushing 50 GB/s read and 60 GB/s write! Those are some serious memory bandwidth scores and they will only get better with the UEFI tweaks Gigabyte is currently working on. Impressive and did we mention this is a massive 32GB memory kit? Corsair hasn’t given us a price on this unreleased memory kit, but we are thinking it will be around $399.99. We’ve never messed around with installing two M.2 PCIe Gen3 x4 cards on a motherboard before, but Samsung hooked us up with a pair of Samsung SSD 950 PRO 512GB M.2 PCIe NVMe SSDs ($346.24 shipped) and we figured why not. 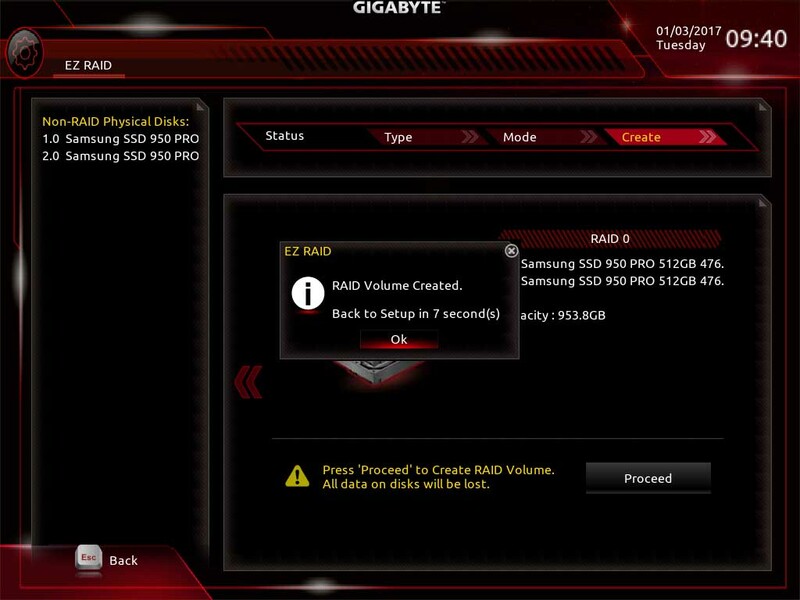 Setting up a RAID 0 configuration in the Gigabyte Aorus Z270X-Gaming 9 was super simple with the latest UEFI featuring EZ RAID, but its still tricky setting up the Windows 10 installation. You need to install Windows 10 from a GPT formatted USB drive and then the Windows 10 installer will need the F6 Driver Diskette (the good old Intel RST Floppy Disc driver) to see the array. Once Windows you then need to install the full version of Intel RST 15.2 and get the Intel Rapid Storage Technology software utility that you may be familiar with. Once you jump through all those installation hurdles you are left with a pretty impressive 953GB boot drive. 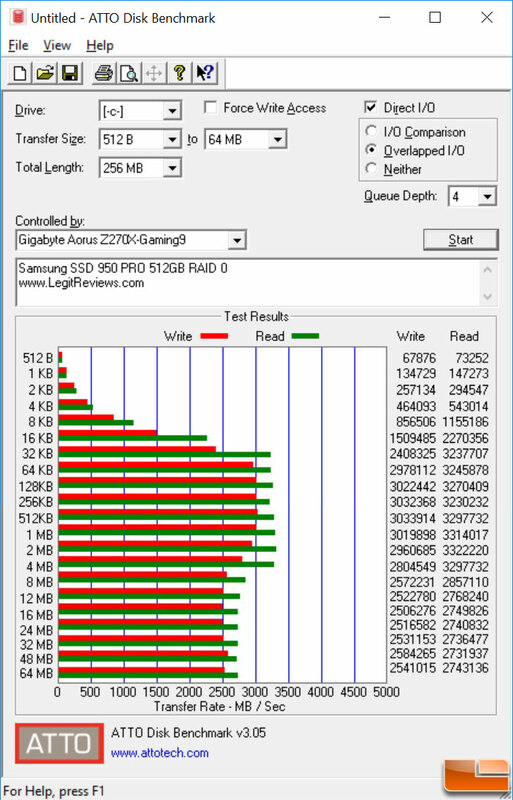 A quick look at sequential performance using ATTO Disk Benchmark showed that we were able to hit 3.3 GB/s read and 3.0 GB/s write speeds with this setup! 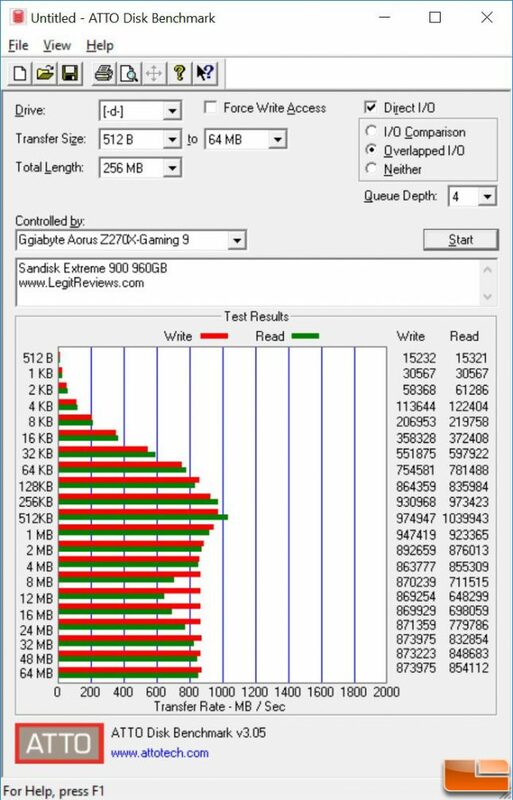 One of these drives is rated at 2,500MB/s read and 1,500MB/s write for sequential performance, so we are happy with these numbers on the actual boot drive in a ‘dirty’ used state. To get these numbers we did have to angle a case fan to blow across the M.2 slots as without it the Samsung SSD 950 PRO SSDs were reaching the temperature where they thermally throttle. 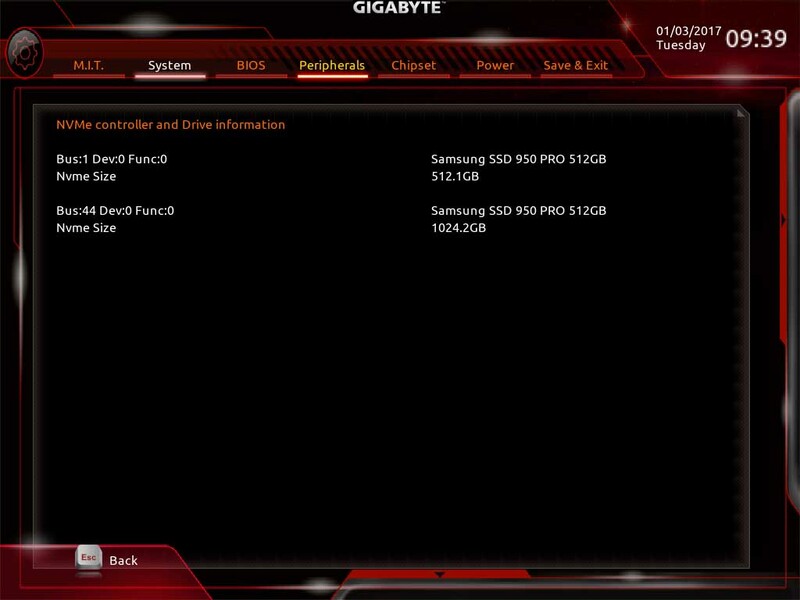 That is the bad part about laying M.2 SSDs down flat against a board like this, but the performance numbers are nice. If you use an external drive to move your data around we saved the best performance feature for last! The USB Type-C port started popping up on Intel Z170 boards last year, but they standard is finally taking off. Many people are overlooking that lone port on the rear I/O panel, but you shouldn’t. We got our hands on the SanDisk Extreme 900 960 GB External Solid State Drive ($463.99 shipped) and the performance benchmarks are pretty incredible. SanDisk markets this model as beinng up to 9x faster transfer speeds than an external hard drive and twice the speed of other SSD with 850 MB/s sequential read and write speeds. Our testing showed that we were hitting 1039 MB/s sequential read and 975 MB/s sequential write in ATTO Disk Benchmark. Those are the highest ATTO benchmarks numbers that we have ever seen on USB 3.1 Gen 2 over the Type C connector on an external SSD! Our processor launch article covered Core i7-7700K overclocking pretty well, but it’s worth pointing out again that this is a highly overclockable chip. 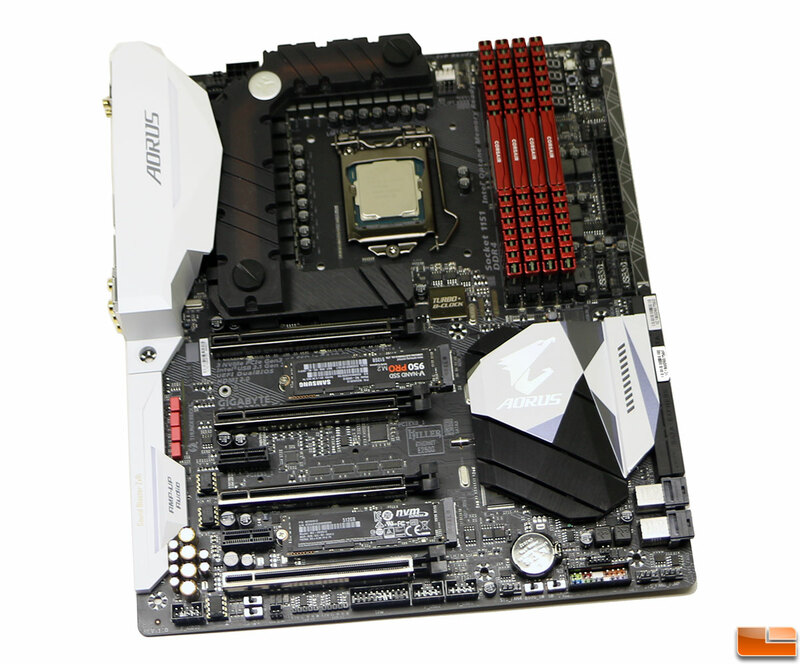 The Gigabyte Aorus Z270X-Gaming 9 is the flagship Intel Z270 board from Gigabyte and as long as your processor is a decent overclocker and you have a good high-end CPU cooler, reaching over 5GHz should be easy to do. 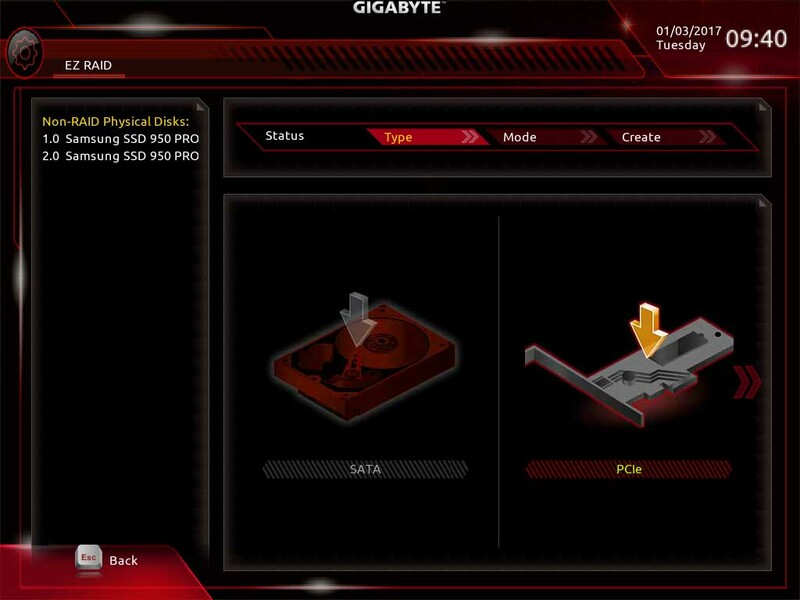 The Z270X-Gaming 9 has far more settings to tweak than another other board in Gigabyte’s Aorus Z270 product lineup, so if you like have knobs to turn in the UEFI look no further. 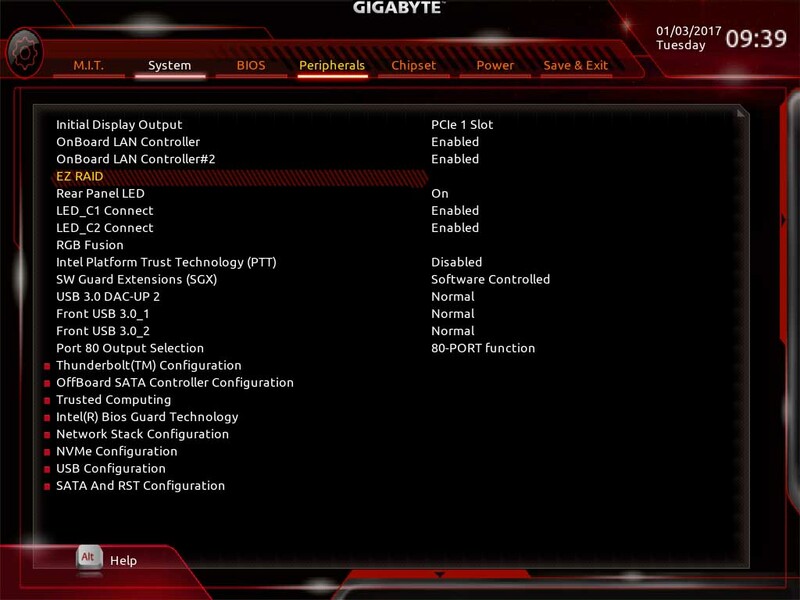 On our particular 7700K processor we hit 5,100 MHz on the Gigabyte Aorus Z270X-Gaming 9 motherboard! 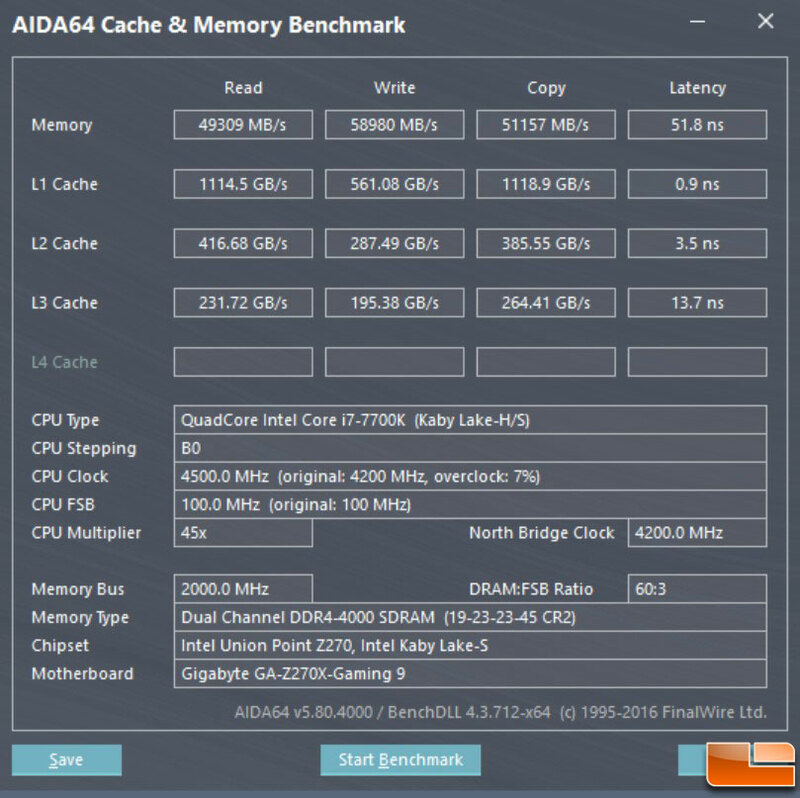 Hopefully some of these benchmarks are some that you haven’t seen before and will give you a better glimpse of the true potential of a modern Intel Z270 platform! 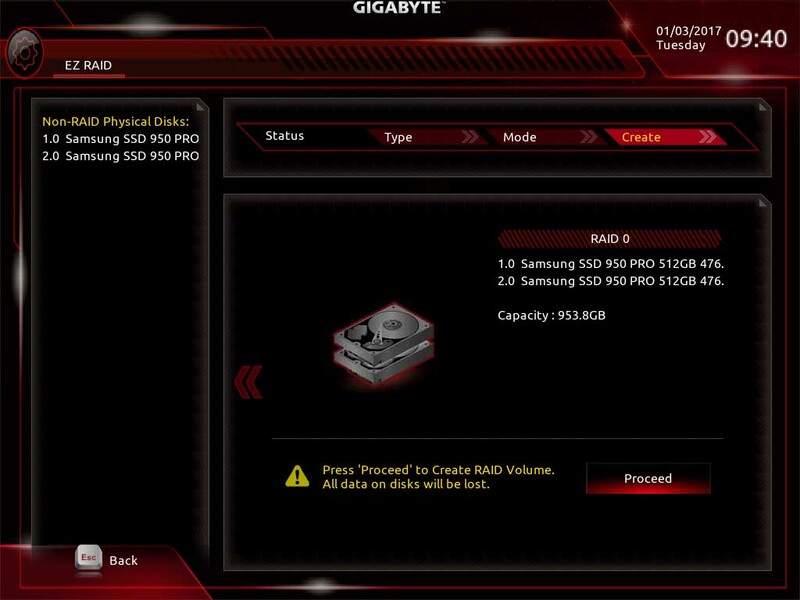 A big thanks to Intel, Gigabyte, Corsair, Samsung and Sandisk on making this review possible!